Heather Doerr | Give Hale & Doerr (the Mr. Tax Team) a Call Today! Heather Doerr, CPA, brings more than 15 years in diverse tax, financial, and business consulting experience to her role as a Certified Public Accountant and Co-owner of Hale & Doerr. Heather is licensed as a Certified Public Accountant in Florida. She earned her Bachelor of Business Administration in Economics degree from California State University, Los Angles and her Masters of Accounting at University of West Florida. 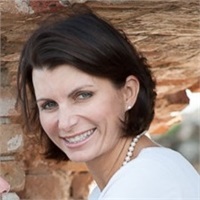 Heather’s diverse background includes, Personal, Corporate, & Non-Profit Tax, as well as, Financial Management, Real Estate (Rental, Residential, Land Development & commercial), Retail, Corporate accounting (Financial Reporting, Budgeting, Chart of Accounts, Bookkeeping & Payroll), & Medical Billing. She enjoys helping clients attain their business and financial goals by providing sound advice and planning. She likes to be involved with her client’s journey year round and not just at Tax time. Heather runs a non-profit company, The Do-errs Club, that provides immediate assistance to those in need in our community. Please feel free to check out the Charity’s Facebook page, The Do-errs Club. Heather’s family includes husband Anthony Doerr, MD, and 4 awesome children who are rooted in the community of Gulf Breeze, Florida. With 3 of the 4 children in college, she understands the need to budget and make the most of your time and money. In her spare time she plays tennis and choreographs dance routines for the local Mardi-gras Krewes.